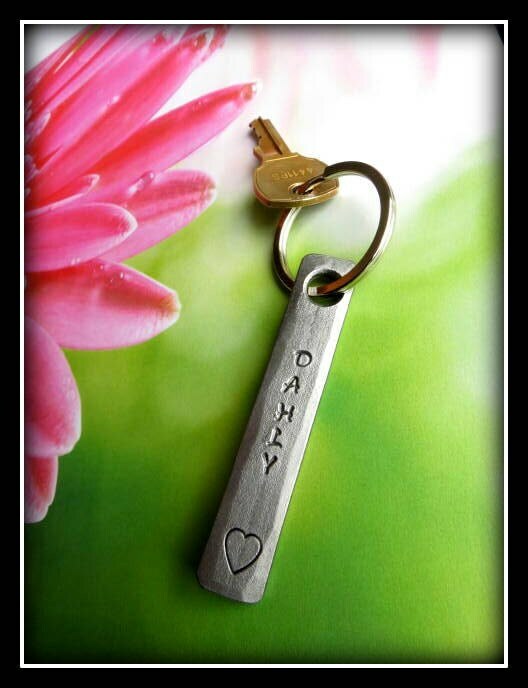 This heart stamped keychain can be personalized with up to 10 letters or numbers for an extra $4.50, this option will be available during checkout...There will be a "note to seller" section during checkout where you can leave the personalization of your choice.. 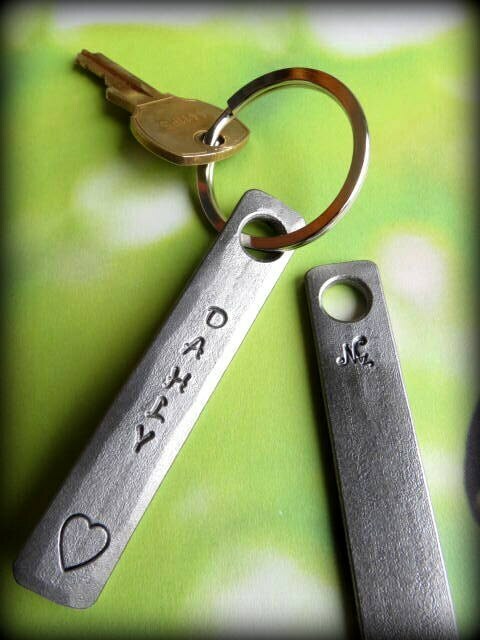 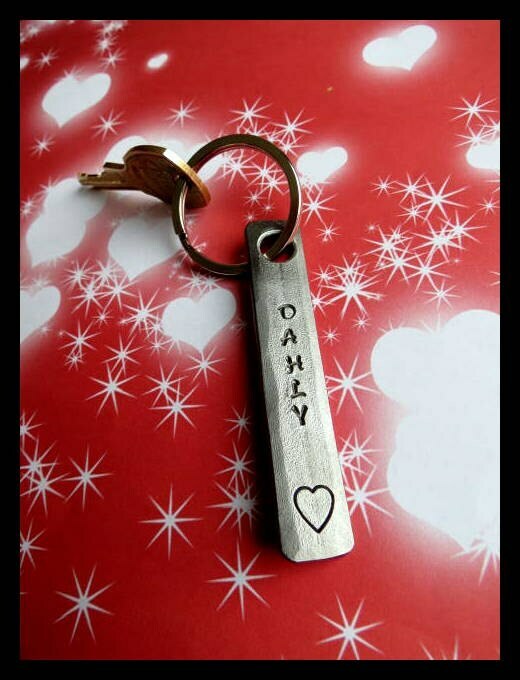 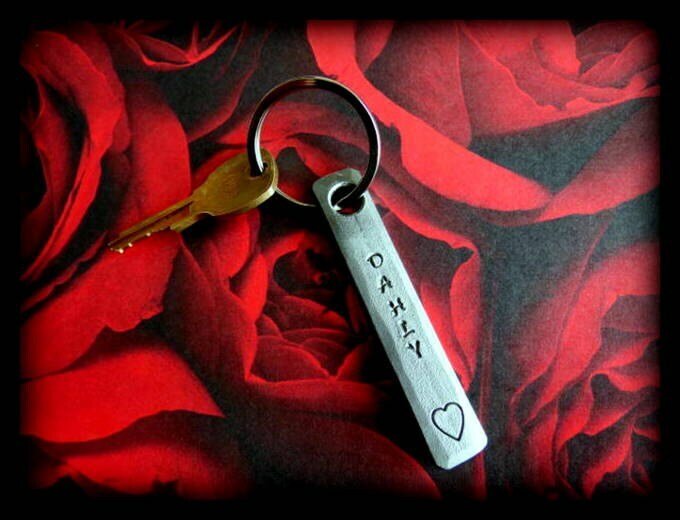 This listing is for one custom heart stamped keychain. 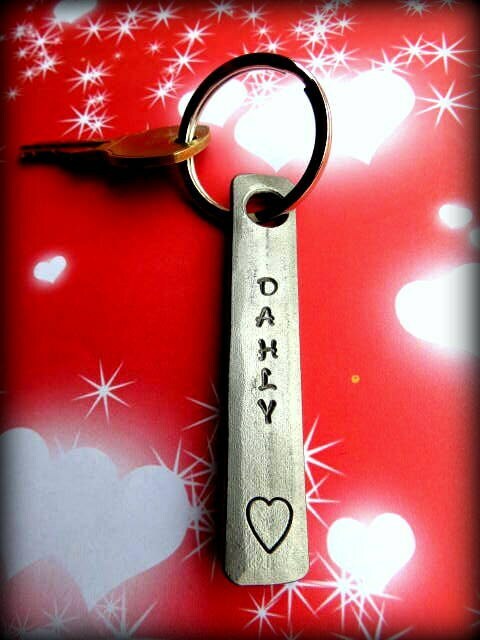 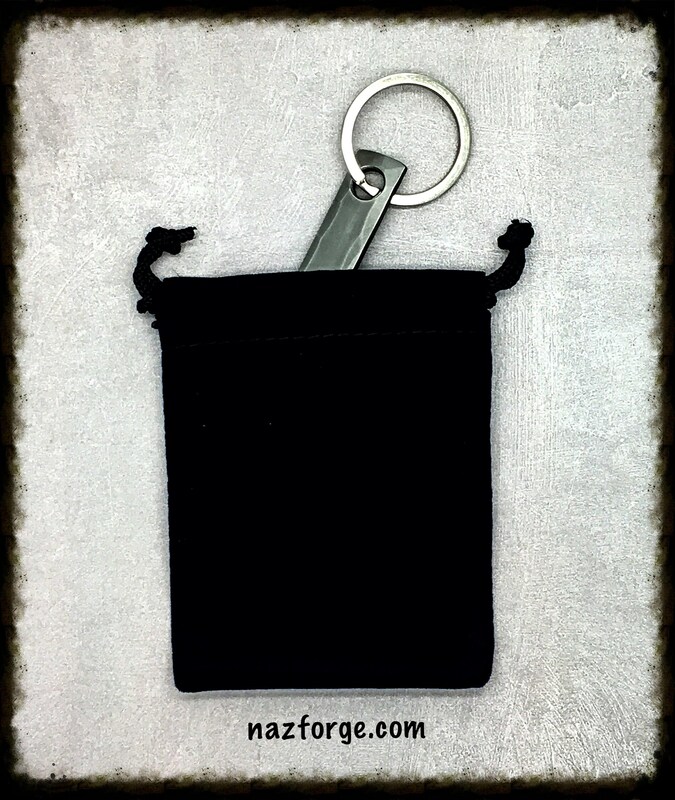 I put a lot of importance in cleaning each keychain after it has been hammered, bent into shape, and "in and out" of the fire numerous times.. Each keychain is finished with a clean attractive look that is perfect for gift giving...(Each one comes with a black velvet gift pouch).